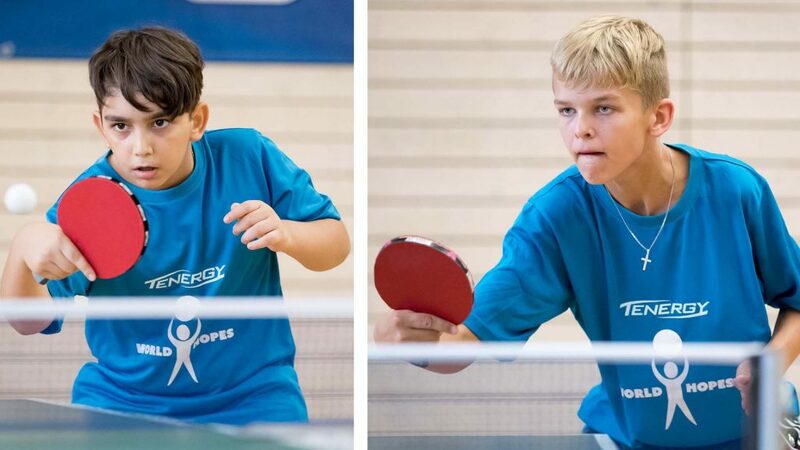 Following the ITTF World Hopes Week and Challenge staged in Luxembourg from Friday 11th to Thursday 17th August, the names of the players selected to represent the Hopes Team at the forthcoming ITTF World Cadet Challenge is announced. The Girls’ Team comprises Singapore’s Zhou Jingyi, Anna Hursey of Wales, Swathi Giri of the United States and Brazil’s Giulia Takahashi; the Boys’ Team is formed by Iran’s Navid Shams, Germany’s Tayler Fox, Australia’s Nicholas Lum and Egypt’s Omar Ehab. 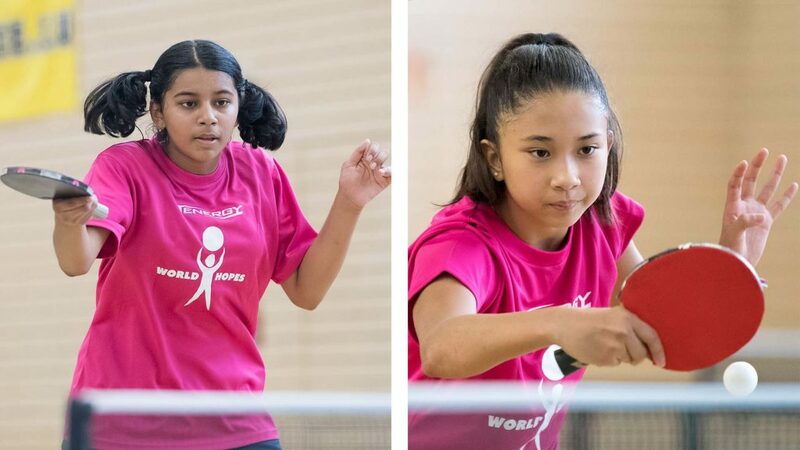 Staged in Suva, Fiji, the ITTF World Cadet Challenge commences on Saturday 21st October and concludes on Sunday 29th October. In Luxembourg, the Hopes Challenge, the tournament which concluded proceedings, was one of the highlights of the week; it attracted great attention. However, the event only contributes 35 per cent of the overall evaluation. The most important value for players aged 11 years and 12 years is to have a strong base for long term improvement. The final standing is formed by the results of the tournament which is 35 per cent of the total plus the assessment of the evaluators which is 65 per cent. The evaluation was based on attributes divided into three sections. The core elements, composed of anticipation and kinaesthetic sense; the technical level, the quality of service and speed; thirdly the challenges, encompassing the response to special goals set both in training and competition. Winners of the tournament, Navid Shams and Zhou Jingyi gained automatic selection. Only players who finished in the top 10 in each of the Boys’ Singles and Girls’ Singles events at the Challenge tournament were considered for the remaining six places. Continental representation – Africa, Asia, Europe, North America, Latin America, Oceania – and gender were taken into account. No more than one player from the same national association was selected. A successful event in Luxembourg; the initiative was led by the ITTF Education and Training Department, composed by Polona Cehovin (Director), Dejan Papic (Co-ordinator) and Daniela Gomes (Projects Officer). 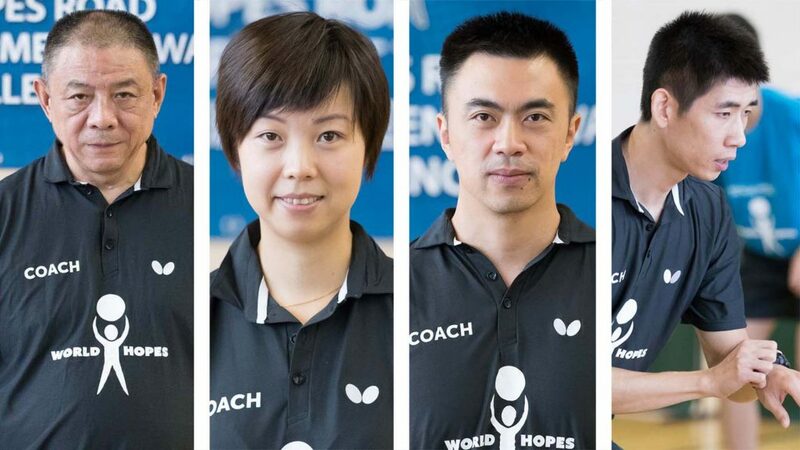 It was made possible thanks to the collaboration with the China Table Tennis College – Europe (CTTC-E) in addition to the valuable support of Butterfly and the Foundation for Global Sports Development. Importantly, the implementation of the Hopes Programme depends on the significant co-operation and efforts of National Associations, Continental Federations, Continental Development Officers and Hopes Co-ordinators. Our thanks in particular to the Continental Hopes Co-ordinators, Tunisia’s Mokhtar Toukabri (Africa), Iran’s Afshin Badiee (Asia), Croatia’s Neven Cegnar (Europe), Colombia’s Jhon Cruz (Latin America), Canada’s Mireille Tallon (North America) and New Zealand’s Christine Young (Oceania).